Space efficient, 3 Plyo boxes in 1 unit; with flippable heights of 20", 24" and 30". Comfortable and easy on the shins and is stable and the safe. The extra dense, reinforced foam interior resists compression. The double stitched durable vinyl upholstery resists tears and is easy to clean. Simply turn the box to adjust to different heights. Space efficient and safe. Perfect for any user. 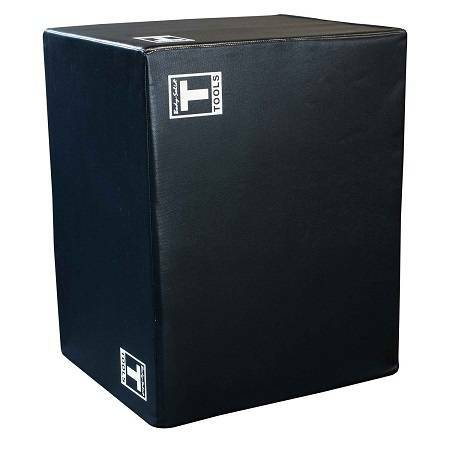 This soft sided plyo box will reward you with less strain during & after your training session knowing with confidence that your legs will be less brusied than with traditional plyo boxes. 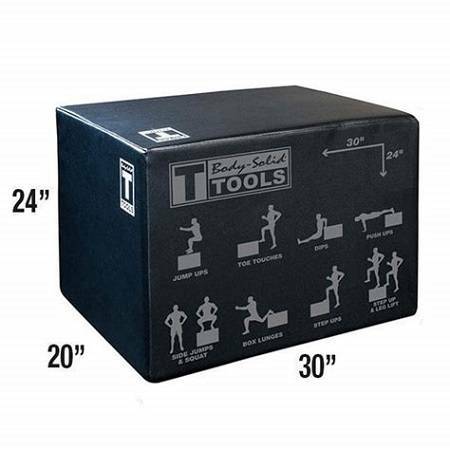 Now you can challenge yourself with confidence and reap valuable strength and wellness levels knowing injury is not an issue with a soft sided plyo box. Jump on the plyo box Fitness Rush provides for healthy results. The Body-Solid Soft-Sided Plyo Boxes are a must-have training tool for explosive jump and speed training. 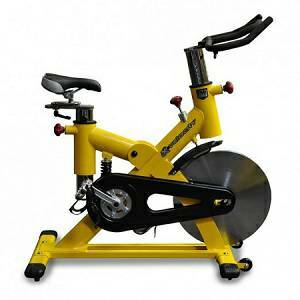 Fitnex X-Velocity II Spin Spinner Spinning Indoor Exercise Bike.